Hi dudes & ladies! Another round of Weekend Snapshots coming right at you this beautiful Monday morning!! Actually it's not that beautiful today- it's in the 40s for the first time in a couple weeks. Yuck. I WANT SUMMER! Seriously, can we start a petition to make Summer start in March? There has to be someone who can fix this. Obama? Anyway- this weekend was a lot of fun! 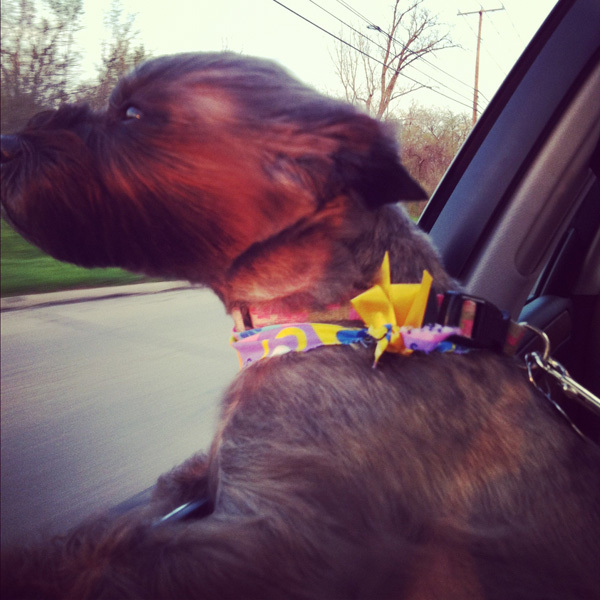 I had to share this picture of my dog, Hala, with her head out the window. Tell me she doesn't look like Chewbacca! It's seriously the happiest I've ever seen her. Head out the window, fur flying and pawing to jump out. SO CUTE! She can be pretty evil sometimes, so it's nice to appreciate her cuteness from time to time. Also, I've finally decided to start stepping up my nail game again. I used tape to section off my nails, then applied clear coat and sprinkled glitter over top. Then I took the tape off and added green to the other section of each nail. That part definitely wasn't easy. Then I put a top coat over both and called it a day! I just wish I would have used higher quality polish for the green part because it bubbled up a bit. Anyone know why it does that? So annoying! But I'm still digging my DIY mani! 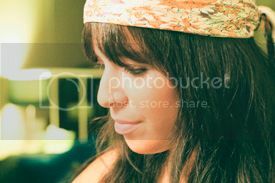 Saturday I went up to Ann Arbor with my friends Adrienne & Amanda for a couple hours to do something fun. I can't say yet what it was- but I'll be posting a vlog about it soon. So much to tell. Absolute hilariousness. Yes, that's a word. We stopped by this vegetarian restaurant, Seva, for a quick bite to eat- Amanda's reccommendation- SO YUMMY!!! I just love taco salad so much. I think I would marry it. Like, can we legalize that? Again... Obama? After lunch, we stopped by The Cupcake Station for some dessert. 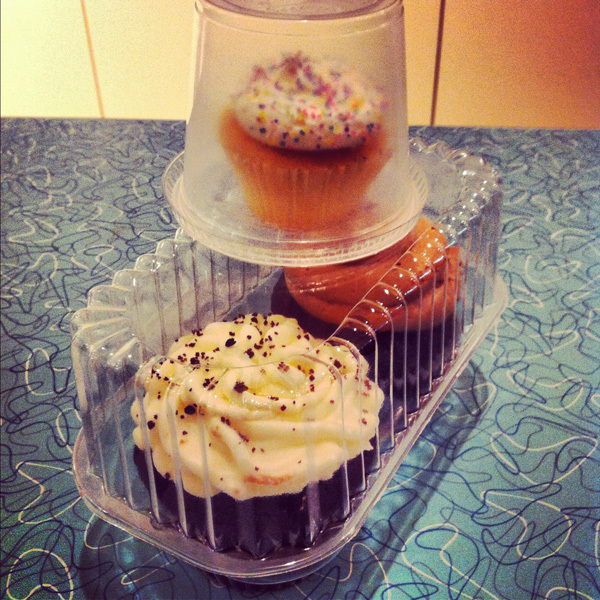 Yes, I absolutely got two cupcakes and a mini little guy. Sometimes my inner-fat kid takes over! How cute is the to-go packaging?! I love it. Come to think of it, I might marry cupcakes too. Hmm... while we're at it, can we just make polygamy legal, too? I just want to be able to marry all of my favorite foods. Is that so much to ask?!?!?? Sunday was tres exciting because I finally saw THE HUNGER GAMES!!! I was so pumped, I almost peed myself. I won't ruin the movie for anyone who hasn't seen it, but I will say that I really really liked it. I think I definitely wouldn't have connected with the movie as much if I hadn't read the book though. It just gives you a whole other level of understanding of what's actually going on. Ya know? I would say that the book is better than the movie, but that's almost always the case anyway. I still loved the movie, I just loved the book more. Also, I want to be Katniss Everdeen. I don't think Obama can help with that one. ANYWAY. I hope you are all having a wonderful Monday. I'm off to tackle my crazy to-do list. As Willy Wonka would say- "So much time and so little to do. Wait a minute. Strike that. Reverse it." 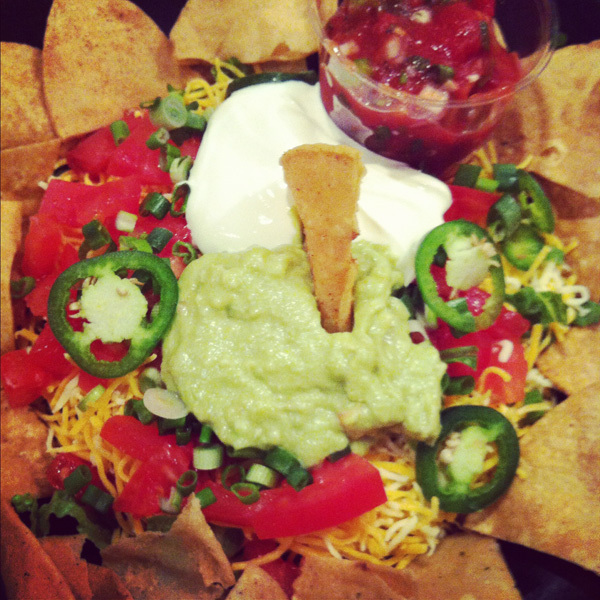 I'm not quite sure what taco salad is (although it does look suspiciously like Nachos) but by GOD does it look amazing! Those cupcakes look delicious! I'm dying to get to Ann Arbor since I have a friend living there, but college is killing my time for visits. Taco salad looks really good! I haven't seen The Hunger Games yet.. but I plan to.. sometime.. once I find someone to go with.. which is no one. Ohwell! Hopefully you have a great day! also...yum to the taco salad and cupcakes, woo! 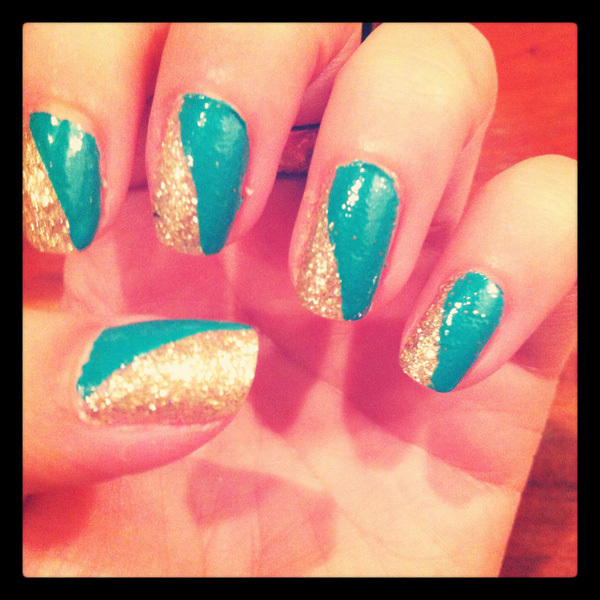 How amazing are your nails?! The taco salad looks deeeelish too! XO. That dog picture is so cute! oh my mexican and cupcakes!!! YUM! seriously though, wasn't the hunger games INCREDIBLE?? Sounds damn near perfect! Love your nails. :) I'm inspired to take a cupcake seeking adventure tomorrow now! your pup is ADORABLE and i love your nails. awesome.